Coppel SA10. Color linocut on buff oriental tissue. One of 60 in the USA edition (there were also editions of 56 for the UK and 20 for Australia). Signed, titled, numbered 54/60 and annotated “U.S.A” in pencil. 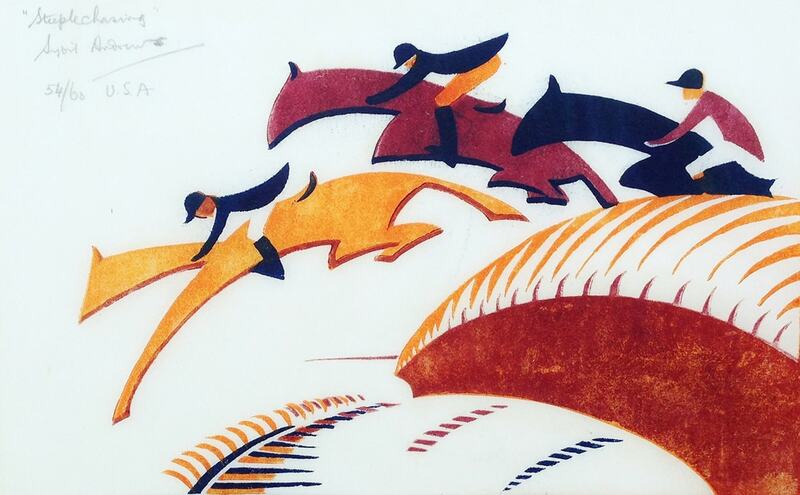 One of the most accomplished artists of the Grosvenor School, Andrews often depicted leaping horses and their riders. 10 1/4 x 6 1/2 in. ; 26 x 16.5 cm.